Didnt need to fork out thousands on this piece! I am not happy with this purchase, but I am not entirely unhappy either. The "wood" frame is particle board and really just a step up from cardboard at that. The frame feels very cheap and I am very cautious when handling the artwork because I feel like it could be easily broken. The canvas is decent and seems durable enough. The print seems acceptable -- although, the image isn't sharp and appears soft/slightly-blurred when viewed closely (6 ft or closer). The image doesn't stretch around the sides of the canvas and makes it look like a cheap print. The canvas also has a slight amount of slack and ripple to it. It isn't enough to cause me to return it and can only be viewed with a glare from lighting over it, but is definitely noticeable. It was packaged well and came undamaged. The corners were reinforced with cardboard and styrofoam, and the whole canvas was sealed in plastic. The box was also marked with the Wall26 name. The item was shipped fast (2 days to CO) with standard shipping. I probably won't buy again but would recommend to others for cheap wall art -- however, I would caution them about my experience, and encourage them to shop some more and compare. I ordered the largest canvas. It is IMPRESSIVE. Fantastic value for the $. No complaints, as expected & more. This is gigantic and perfect on our adult family room wall. 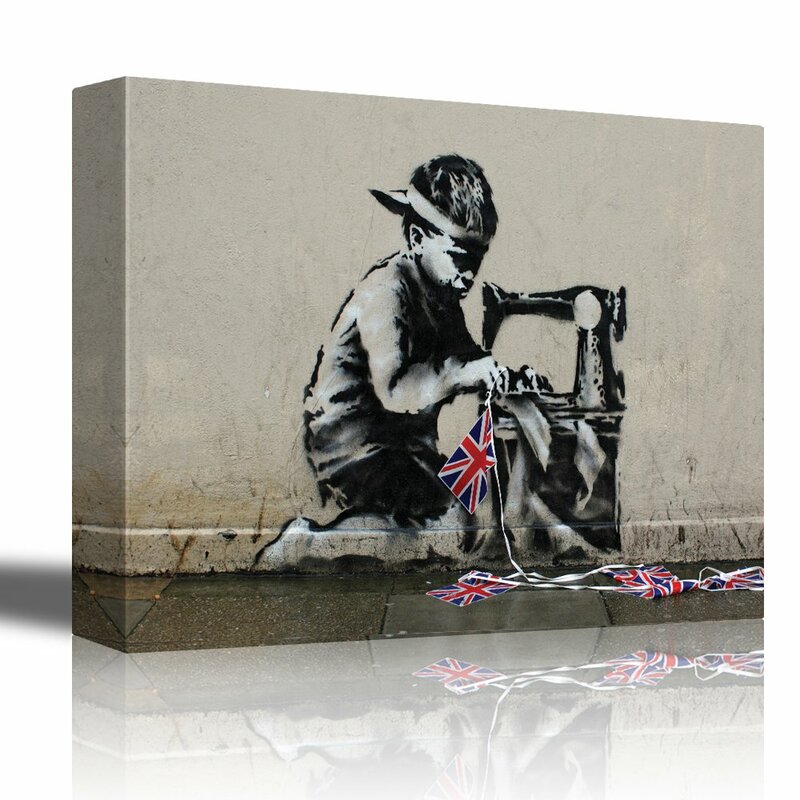 It's an awesome way to show our love for Banksy without spray painting our home or animals.